56-page workbook and planning guide for writers, bloggers, and authors. Having a hard time coming up with content for your newsletter other than "buy my book"? This workbook and planning guide is the solution to that particular challenge. 176 content prompts categorized by content blocks, 10 example email layouts with content blocks laid out for you so that your emails stay fresh, unique, and authentically you. 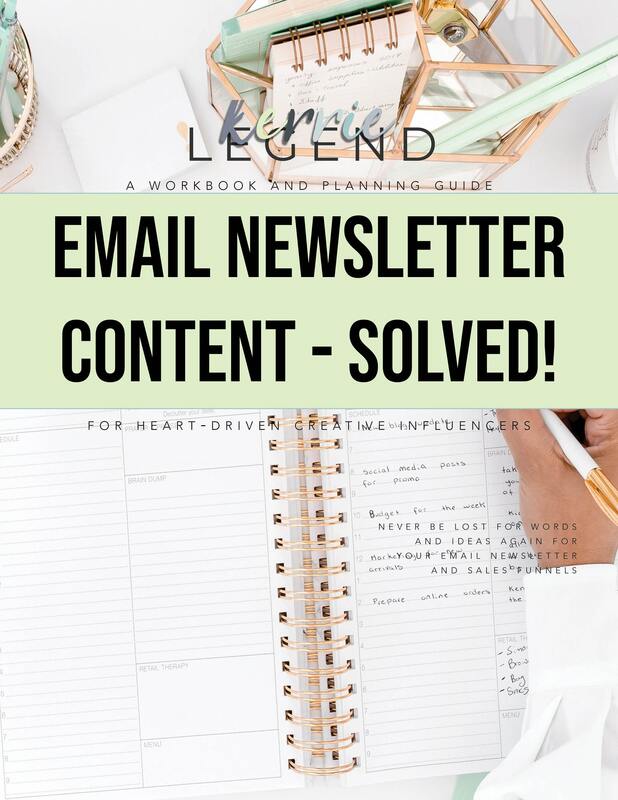 Includes email newsletter checklists, charting progress for email list growth, content planning calendar (undated), and more. Give your audience more of what they're interested in and go beyond standard promotional emails!